» Can ‘Houdini’ Help Johnny Depp Escape Hollywood Jail? Can ‘Houdini’ Help Johnny Depp Escape Hollywood Jail? Johnny Depp is reportedly in negotiations to play Harry Houdini in an upcoming adaptation of the controversial biography The Secret Life of Houdini: The Making of America’s First Superhero, which deviated from the handcuffs and water torture cells to delve into the magician’s life as a spy and his acrimonious relationship with a group of Spiritualists (led by Sir Arthur Conan Doyle). You may remember the headlines generated by The Secret Life of Houdini in 2007, when coauthors William Kalush and Larry Sloman — along with their lawyers, PR team, and a forensic pathologist — attended a press conference calling for Houdini’s body to be exhumed in order to investigate the possibility that he had been poisoned by a particularly peeved Spiritualist. As the Washington Post reported seven years ago, “Kalush and Sloman maintain that Houdini was the victim of a thuggish cabal of psychics. Houdini spent much of his career unmasking spiritualism as a fraud, and one of his favorite targets was one Mina “Margery” Crandon, a socialite who acquired a certain fame after claiming telekinetic abilities. Her husband, a prominent Boston surgeon named Le Roi Crandon, was supposedly a member of what the authors call “the Psychic mafia” and the man behind Houdini’s poisoning. In the authors’ telling, Crandon had a confederate inject Houdini with that serum in Detroit, and it was meant to kill him, not cure him.” It was a fascinating idea, but after a brief media frenzy the investigation was dismissed as a probable publicity stunt, and Houdini’s body — as far as we know — remains in its bronze casket, his head resting on a black bag containing his mother’s letters. The adaptation — which will be directed by Dean Parisot (Galaxy Quest, RED 2) — is also trying to snag Christi Dembrowski, Depp’s Infinitum Nihil producing partner, to coproduce with Frank Marshall and Bruce Cohen. As CinemaBlend points out, Infinitum Nihil’s track record is fairly lousy, with one hit for its three flops (after Hugo, it released The Rum Diary, Dark Shadows, and The Lone Ranger). The Secret Life of Houdini’s proposed November start date may also push production on the fifth installment of Pirates of the Caribbean to 2015 (and still, nobody has bought my screenplay Pirates vs. Magicians, in which Depp plays every single role before dematerializing, leaving only a heap of eye patches and handcuffs). Depp hasn’t paused to lament his recent box-office and critical disappointments (the Chicago Tribune retitled Transcendence “The Computer Wore Johnny Depp’s Tennis Shoes”): He will star in Into the Woods as the Wolf this Christmas, as mustachioed art dealer Charles Mortdecai in Mortdecai (which he also coproduced) in February, and recently began filming next year’s Whitey Bulger biopic, in which he will star as the Boston gangster. While The Secret Life of Houdini may be the first Houdini film to boast being imagined “in the vein of Indiana Jones,” Depp will — if the negotiations are successful, that is — have to compete with several other memorable portrayals of ol’ Harry Handcuffs. 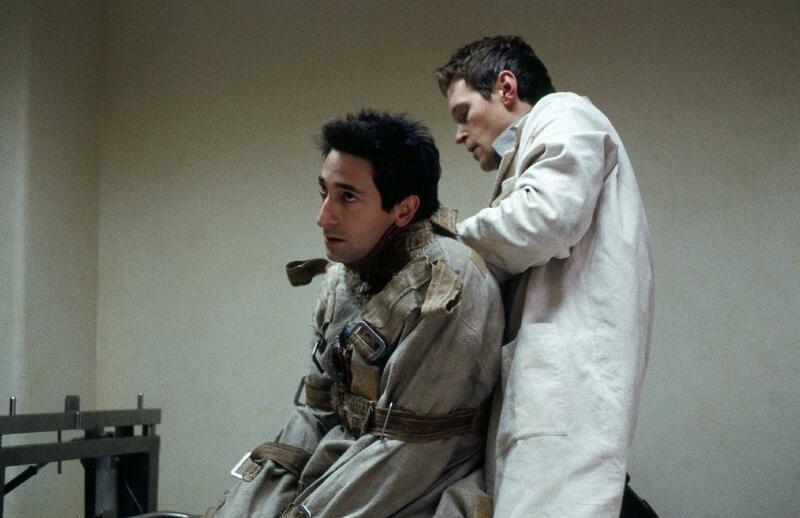 A History channel miniseries starring Adrien Brody is debuting this Labor Day, busting out of the straitjacket that still confines many of its recent kin to the development dungeon (Brody is familiar with straitjackets, of course).